After hearing about the launch of a new initiative, 'Real Stone & Tile in the Community', Jonathan Billing from charity, The Wellspring got in touch about refurbishing the charity's bathrooms. Jonathan wanted to update the facilities, and create a modern and clean space for the homeless community, which regularly use the centre. 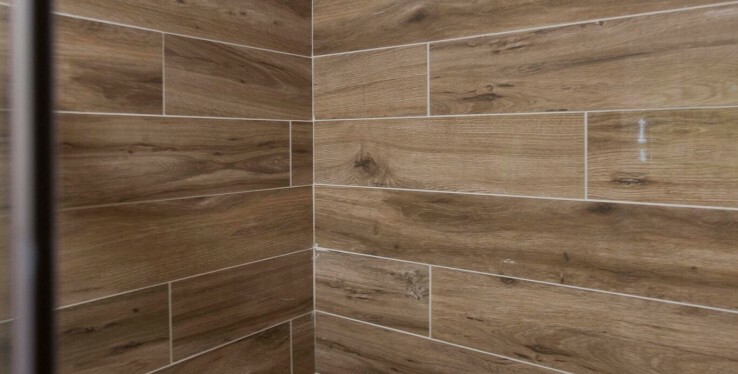 Real Stone & Tile donated a range of tiles including the Marazzi Treverkmood Rovere and the Natural Birch Polished Wood-Effect Porcelain. Jonathan Billings, Chief Executive Officer at The Wellspring Stockport, explained, "We would like to thank the team at Real Stone & Tile for their generous donation, our facilities have been transformed into a clean, safe and stylish wet room and bathrooms, much to the delight of our users."